Beautiful art lampshade, featuring shells and floral design. Fabulous focus lamp, works well also on a standard lamp. Still life design, wow factor piece. 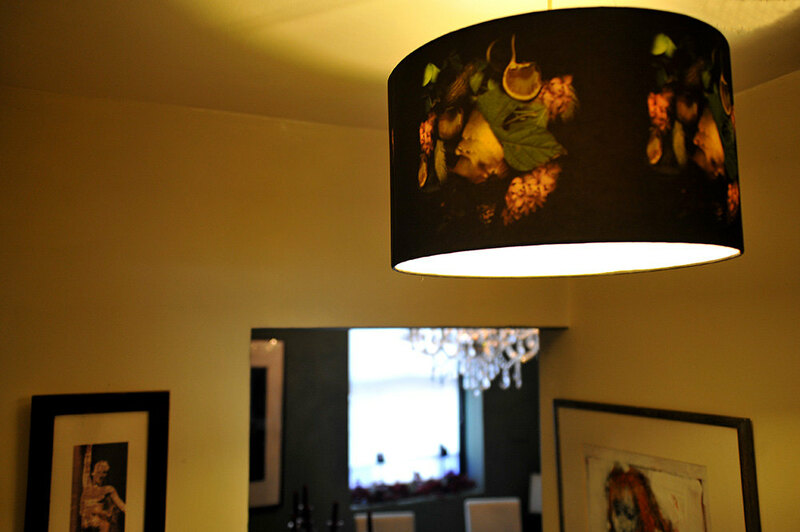 This Lampshade can be hung from a ceiling fitting or stood on a table/floor lamp stand. Please select which you require.